1)SUBMIT ONLY ONE APPLICATION FORM WITH VALID DETAILS. DO NOT SUBMIT DUMMY APPLICATIONS DETAILS WITH SAME CHALLAN NUMBER, AS IT WILL BE TREATED "MULTIPLE APPLICATION" AND BOTH THE APPLICATIONS WILL BE REJECTED. 2)DO NOT SEND APPLICATION FORM IN ANY OTHER FORMAT EXCEPT THE FORMAT GIVEN ON THE WEBSITE. 3)DO NOT USE ANY OTHER TOOL LIKE (WORD,EXCEL,ETC) TO MODIFY THE DOWNLOADED APPLICATION FORM AS REGARD TO ITS SIZE,FONT,ETC. THE APPLICATION FORM SHOULD BE DIRECTLY PRINTED ON (A4 SIZE)AS PER THE WEBSITE SPECIFICATIONS OTHERWISE APPLICATION WILL BE REJECTED. 4)DO NOT STAPLE THE DOCUMENTS ALONGWITH APPLICATION FORM. 1. 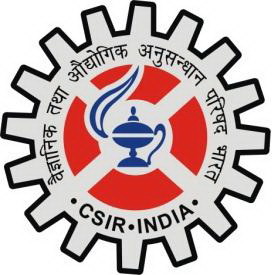 Please go through the Information Bulletin and Detailed Notification at our website: www.csirhrdg.res.in . The candidate must satisfy themselves regarding their eligibility for this test before applying for this test. 2. Download the Challan Proforma and deposit the requisite examination fee in any of the Indian Bank branches spread all over India. 3. Before applying On-Line, keep the following information ready with yourself like; Subject name, Exam Centre, Date of Birth, Marks obtained (in relevant subject of M.Sc./Equivalent Exam OR Undergradudate in case of Integrated MS-PhD Program), Challan details(Bank name, Branch/city name, Branch code, Journal No. challan date etc.). 4. Apply Online using the "Apply-Online button" given at the bottom. 5. After successfully submitting the application online, candidates will be assigned system generated Application Number. The candidates are required to take print out of the Application Form (on A4 size paper), paste his/her recent black & white photograph, put his/her signature at the required places, attach requisite certificates and send alongwith CSIR marked copy of fee deposited Bank Challan in his/her own envelop(5”X11”) to Sr. 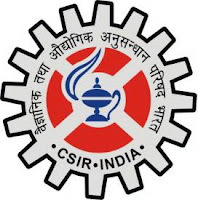 Controller of Examinations, Examination Unit, Human Resource Development Group, CSIR Complex, Library Avenue, Pusa, New Delhi-110012 so as to reach on or before 26-03-2012 (02-04-2012 for remote areas). Envelope to be used for sending the completely filled in hard copy of online application form must be subscribed at the top as “ Application for Joint CSIR-UGC Test for JRF/LS (NET), June, 2012” and Subject Code, Centre code & Medium of Exam Code (1 for Hindi or 2 for English) must also be mentioned at the envelope. 6. The eligible candidates, in their own interest, are advised to keep photocopy of sides of the completed Application Form (hard copy), Certificate of Postage, Challan copy( as a proof of fee deposit) and three identical copies of the passport size photographs which has been affixed on the Application Form. (i) Candidates should note that their candidature is strictly provisional till their joining. No candidate will be admitted to the Test unless he/she holds the admission Certificate to the Test. The mere fact that Online application has been submitted/Admission Certificate has been issued to a candidate will not imply that the Council has finally accepted his/her candidature. (ii) Only online application followed by hard copy (along with requisite enclosures) will be considered, as per terms and conditions including eligibility criteria, as notified in the Notification. Any Online Application, whose completely filled in hard copy is not received in Examination Unit within time frame, will not be entertained. (iii) Mode of payment of fee is Bank challan from Indian Bank only. Fee submitted through any other mode viz.IPO, /demand draft/money order/ CRF stamp etc will not be accepted. Fee once paid will neither be adjusted for any subsequent examination nor refunded under any circumstances. (iv) Incomplete application / application submitted in any other format or application (hard copy) received after the last date will be summarily rejected and no correspondence will be entertained in this regard. Hence, the candidates are advised in their own interest to apply early enough to ensure timely receipt of their applications by the Examination Unit on or before the closing date. (v) In case, any eligible candidate has applied online and sent the completed hard copy within last date but do not found his/her name registered in list (to be published around 15-05-12 on CSIR, HRDG website), he/she will be required to send photocopy of (i) completely filled in Online application form (ii) U.P.C. (or proof of despatch /undertaking by the candidate that he/she has submitted the application form within the stipulated closing date)within the stipulated time frame, failing which no request will be entertained in any circumstances. (vi) No correspondence will be entertained for any matter for which last date has been expired. For complete information of this test, candidate may refer our notification No.10-2(5)/2012(i)-E.U.II published in Employment News issue dated 18th February-24th February 2012 and also available on our website. The Test Booklet for this test will be printed in bilingual & English version separately. The candidate opting for Hindi medium in Column No. 6 of Application Form, will be supplied Test Booklet printed in bilingual version and candidates opting for English meduim will be supplied Test Booklet printed in English version only. A candidate applying under RA (Result Awaited) category, must ensure that he/she is appearing or has appeared in his/her final year (Last Semester where Semester system is there) of M.Sc. OR equivalent Degree during the academic Session 2011-2012. Such candidates will have to submit the attestation format (given in the hard copy of Online submitted application) duly certified by the Head of the Deptt./Institute over his/her signature and rubber stamp (with address and name) from where the candidate is appearing or has appeared in the final year M.Sc. or equivalent degree examination. Failing to comply this instruction will result rejection of application.